This module is based on XLSemi's XL7035 High voltage DC-DC Converter Chip. 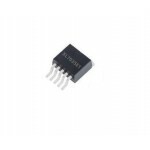 This modules can convert 10 volt to 80 volt input DC voltage to fixed 5 volt DC Voltage. DC-DC high-voltage Step-Down Converter module working frequency 150KHz. Maximum conversion efficiency is 85% . 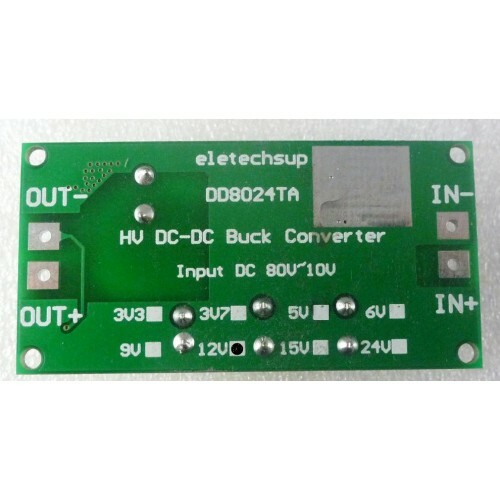 XL7035 DC to DC Step down Converter ICThe XL7045 is a 100KHz fixed frequency PWM buck (step-down) DC..
XL7035 High-Voltage Buck 5 Volt Module XL7035 based 10 - 80 volt input to 5 volt Step-down Mo..